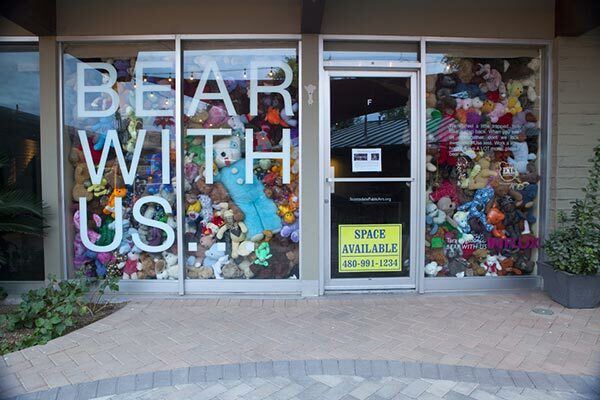 Phoenix artist Tara Logsdon’s EKLbearmy is a rescue and rehab mission for wayward teddy bears. 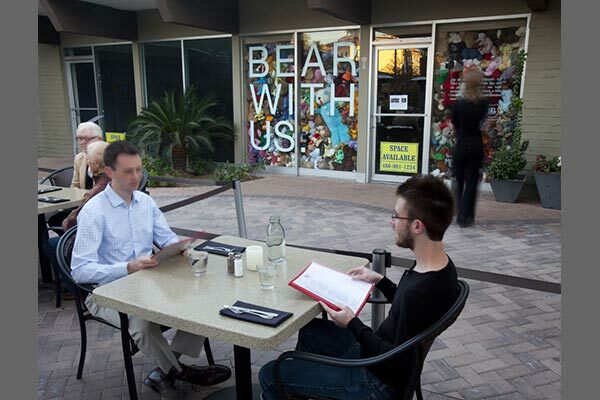 In BEAR WITH US, 50 rehabbed bears joined 100s of other bears to share a message about coming together during trying times with the viewer. 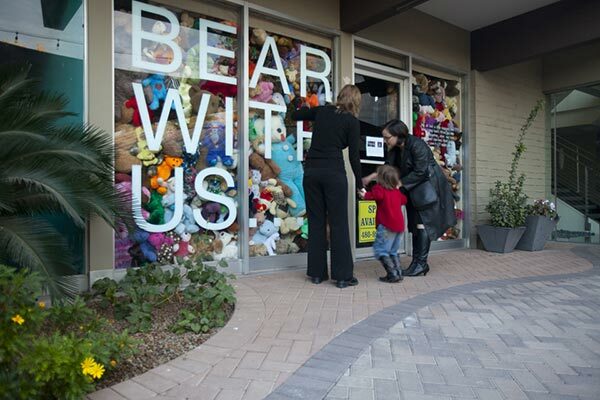 The bears filled the storefront windows floor to ceiling, resulting in an eye-popping demonstration of individuals creating a powerful whole. Upon de-installation the approximately 800 teddy bears were retained by the artist to be used in future EKLbearmy projects. Some will be rehabbed to be a part of a pending holiday donation to Banner Hospital, while others will be included as part of an exhibition at A.E. England Gallery (Phoenix) December, 2011.